The impact of the event is rooted in its simplicity. Moving to the minimal plaintive strains of the flute and the ritualistic beat of the tympani, a metaphor for the heartbeat, groups of 20 dancers enter in procession from different directions. As they move onto the site, forming patterns of concentric circles, they create a Peace Labyrinth, symbolizing eternity, purity, and the continuous life cycle. Filled with the transcendent energy of the Mandala, each dancer embraces a terracotta plate hidden within his/her robe, personifying and embodying the banquet table. 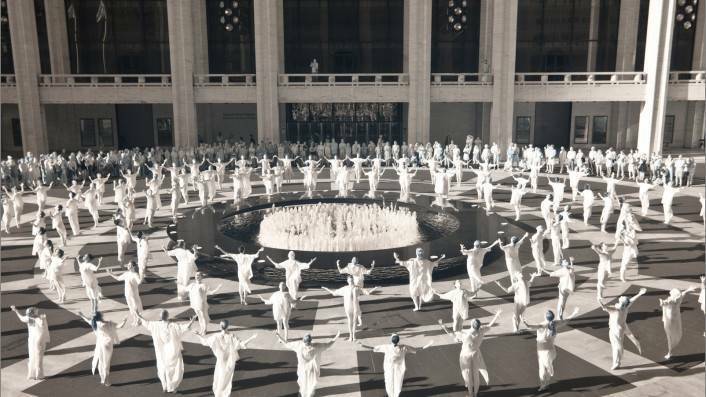 Spectators may join the dancers in a ritualistic exercise:enveloped in silence for one minute, they turn their wrists with open palms and extend their arms slowly to the sky. With echoes of the flautist’s act of taking breath, dancers rise and exit in a unified silence, creating a transcendent experience that gives voice to those who have lost their own. Vasta writes: The opportunity to physically “give body” to the table came to my mind after I saw Buglisi's Requiem. When I first realized my 100 plates, I imagined that there were 100 people sitting at this table…The idea of a never ending body of individuals unified by the repetition of one becomes a meditative mantra. The Table of Silence Project 9/11 had its first presentation on the tenth anniversary of 9/11 on the Josie Robertson Plaza at Lincoln Center. Participating were both professional dancers and students from NYC’s premier conservatories and studios: Buglisi Dance Theatre, Ballet Hispanico, Dance Theatre of Harlem, The Juilliard School, The Ailey School, the Martha Graham Company and School, National Dance Institute, Steps on Broadway, and Peridance, among others. This global tribute was seen in 82+ countries via live stream. 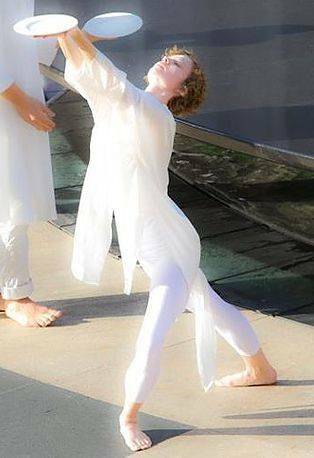 Following its presentation on the Josie Robertson Plaza at Lincoln Center on 9/11/11, The Table of Silence Project 9/11 was performed in Fall 2011 at the Piazza San Rufino in Assisi, Italy; and at the Pan Am Flight 103 Remembrance Wall at Syracuse University. 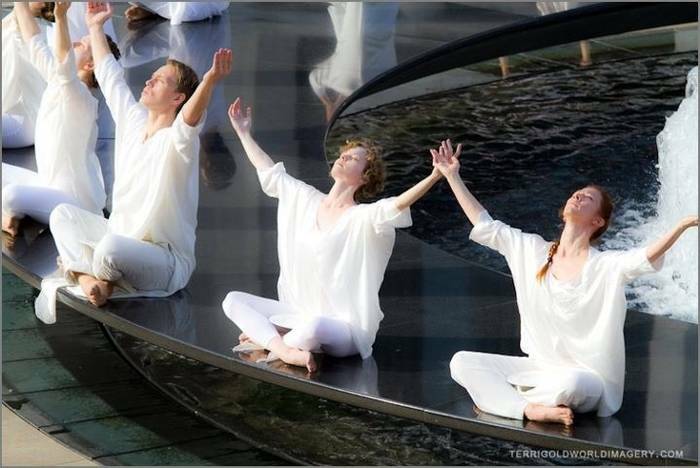 In 2012, 2013 and 2014, it was performed again at Lincoln Center on the anniversary of 9/11. For their artistic contributions in promoting peace, Ms. Vasta received an Honorary Degree from Cardinal Stritch University in Milwaukee, and Jacqulyn Buglisi was featured in the Dance/NYC “New Yorker for Dance” video campaign. In 2014, the Table of Silence was proclaimed a ceremony that uses “the power of movement to pay respect and show renewed commitment to building a brighter future” by New York City Mayor Bill de Blasio and “unites the New York City arts community to spread a message of peace and hope” by New York Governor Andrew Cuomo.